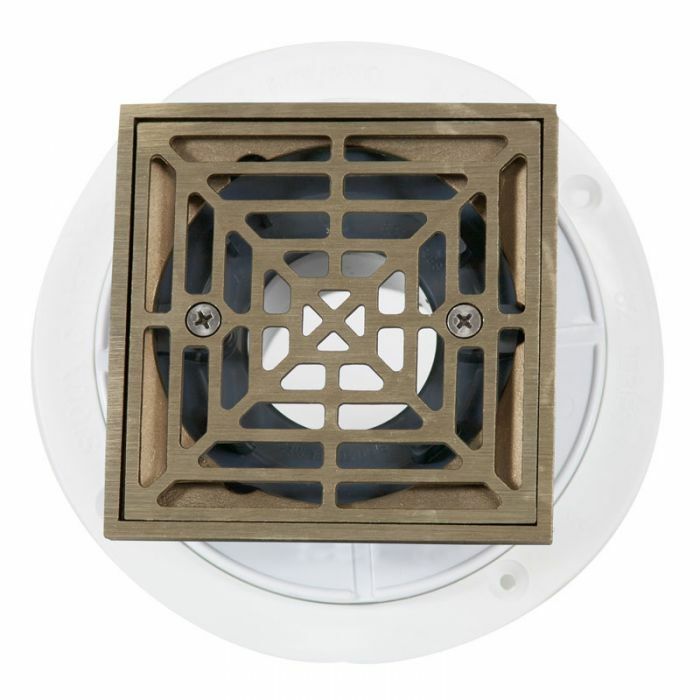 The clamping ring shower drain insures waterproofing integrity in your shower. Used to create a watertight seal with the shower membrane. Features a Square Strainer with a Nickel Bronze Finish.